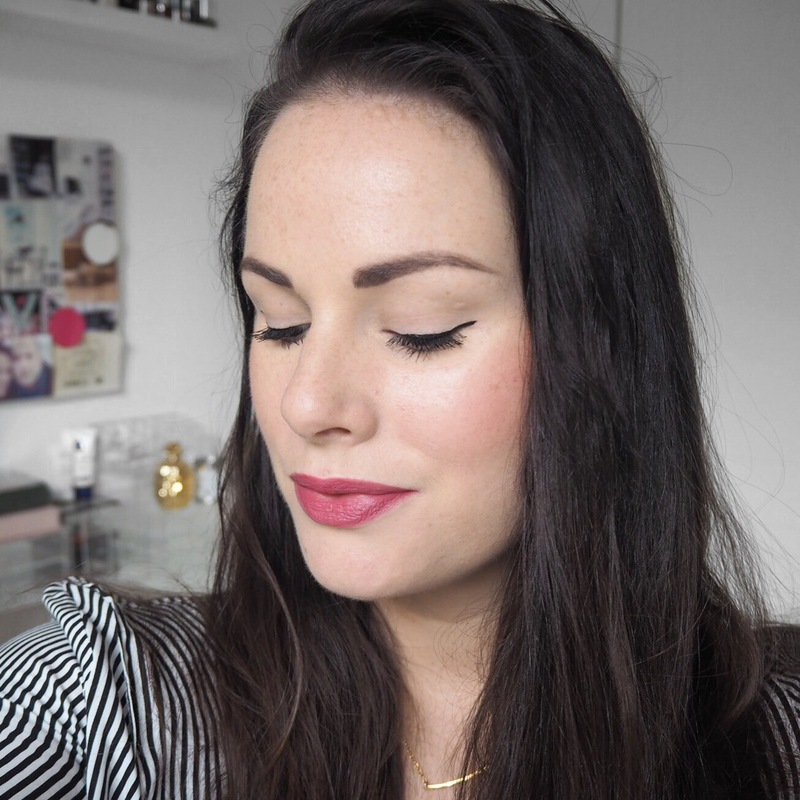 Although I adore some Bourjois products, I’ve had a very hit and miss relationship with their lipsticks over the years, and particularly over the last eight months with my challenge. For a brand that does some things so well, I’ve never been blown away by their lipstick formulas but today I decided to try something new from them to see if it helped change my opinion at all. 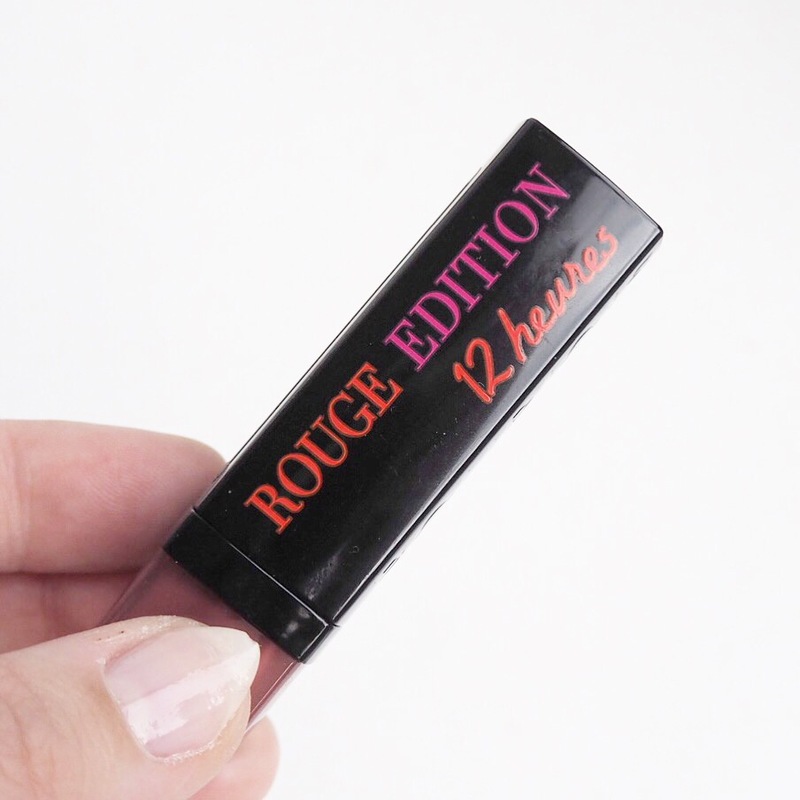 The Rouge Edition 12 Hours range claims to have a formula that lasts for 12 hours, and right off the bat I’m just going to tell you not to get your hopes up because it just doesn’t. 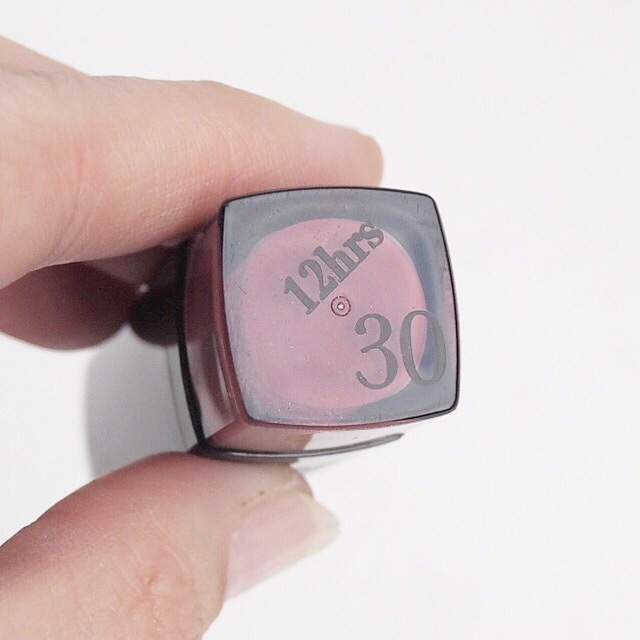 The lasting power is probably the best of all the Bourjois lipsticks that I’ve tried, but we’re talking maybe two to three hours longevity depending on what you eat or drink. Naturally when something claims to have that kind of lasting power, you’re going to be disappointed when it lets you down and I was disappointed. But thankfully, that’s where the disappointment ended. 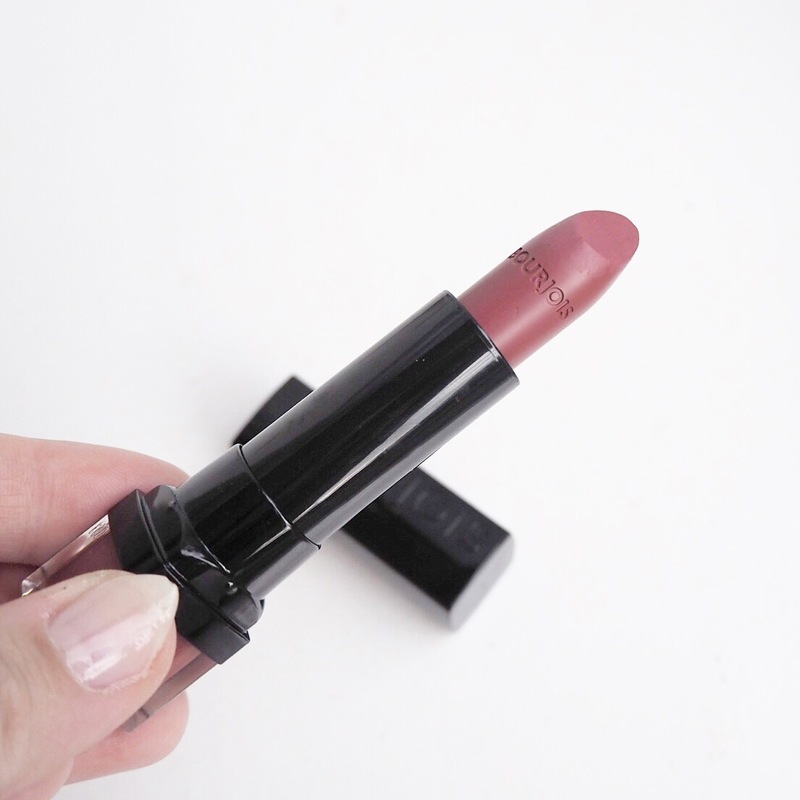 This lipstick has a lovely rich, creamy texture, and is surprisingly very different from their other offerings that I’ve tried. 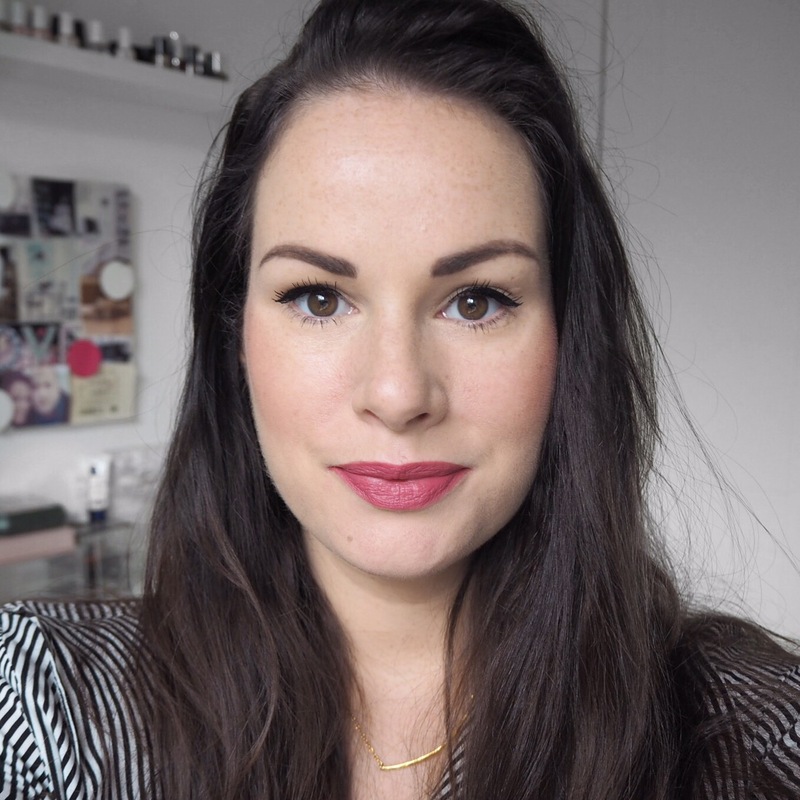 It is smooth, very blendable and the pigment is really great, so much so, I almost did a double take to make sure it was definitely a Bourjois lippy that I was using! It’s not that I dislike their other lip products, they are fine and some of the shades are gorgeous, but they’ve always just left me feeling very ‘meh’. 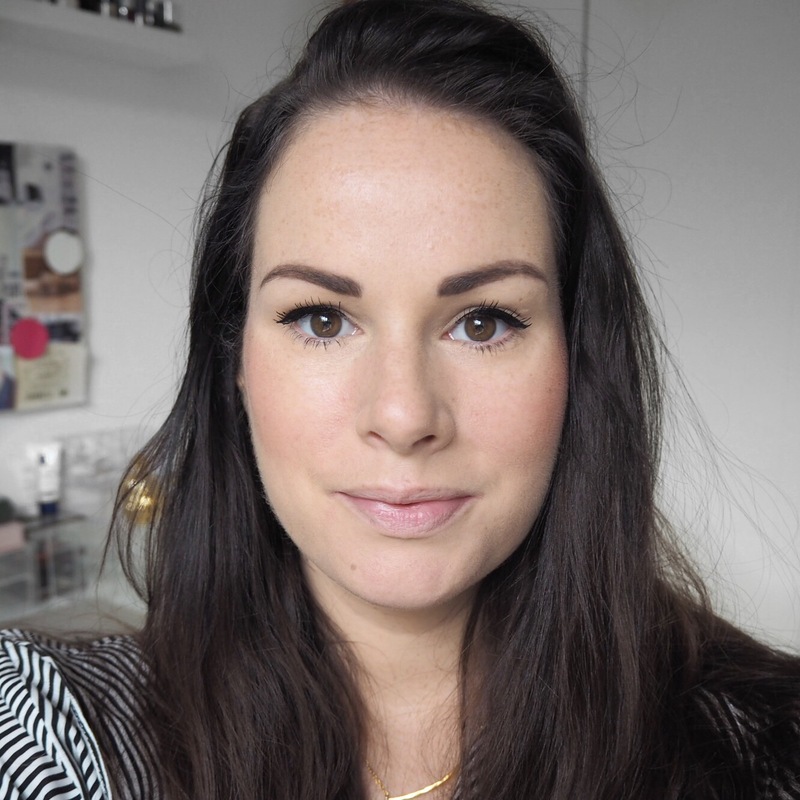 So, credit where credit’s due, because I’m very happy to report that apart from the lasting power, I really liked this lipstick today and was very impressed by how moisturised my lips felt throughout the day, as well as by how much I liked the shade itself. The finish is a semi-matte or cream matte as I like to call it, and when blending, it didn’t pull or drag any of the colour underneath which is one of the things that has annoyed me previously with their lip products. 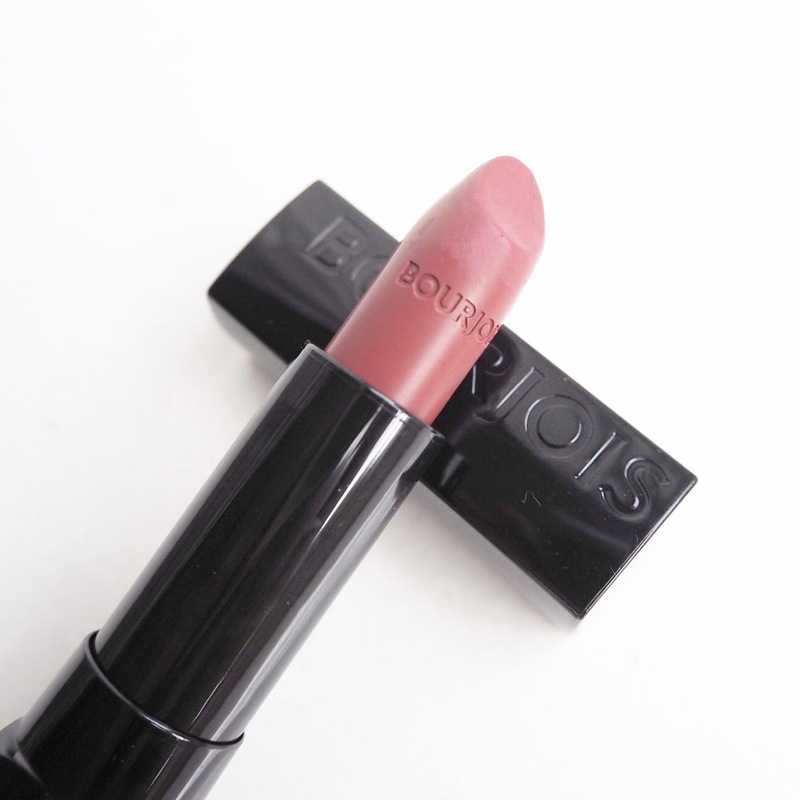 Finally I feel like Bourjois may be on to a winner with this range, and while the 12 Hour claim is definitely a stretch, for me, the creaminess of the lipstick itself definitely makes up for that. What do you guys think, have you tried these and do you love them or hate them? I know some people may feel totally different than I do so as always, comment below and let me know your thoughts!